SBTU Presents: 5 Batmen, 1 Superman, ZERO HOUR! Hello there, Legions of the Unspoken! Dean Compton here, and I sure hope all of you enjoyed the Robocop vs. Terminator goodness Emily Scott brought you earlier this week as the Super Blog Team-Up is underway once more! Our theme this time is Parallel World and Alternate Realities, and I had lots of great stuff to choose from in the 90’s. I could have gone with numerous What If’s, several Elseworlds, Heroes Reborn, or even the Image/Valiant Deathmate crossover! But only one event really destroyed everything in the 90’s and rebuilt it. Only one event had the grandeur and scope that deserves to be presented alongside the luminaries of the Super-Blog Team-Up, and that’s Zero Hour. I recall being insanely excited for this series as a teenager in the 90’s. My older comic book pals had discussed the Crisis on Infinite Earths, the last time prior to Zero Hour that a superhero universe had been shaken up, destroyed, and rebuilt in its entirety. To say I couldn’t wait would be tantamount to saying that the core of a nuclear reactor is sort of hot. 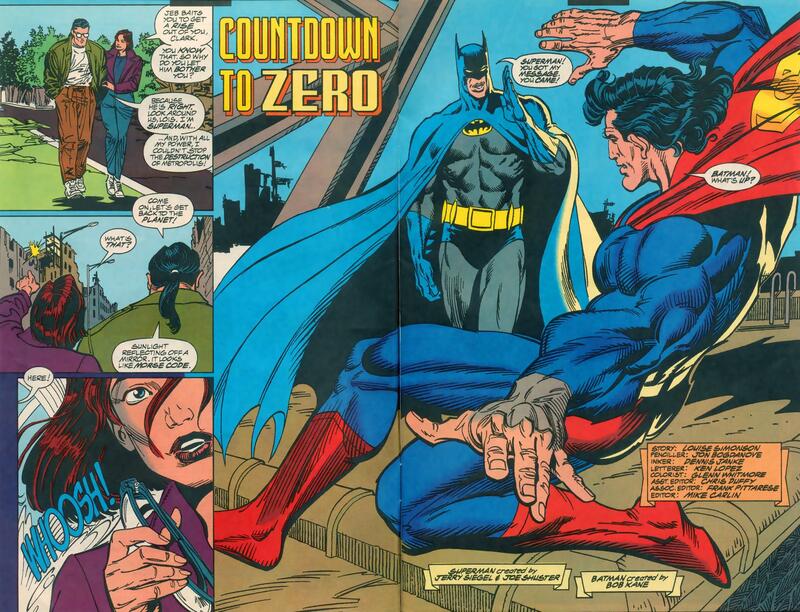 I bought in hook, line, and sinker to every aspect of the event, from the white-out erasure of reality to the fact that the mini-series itself counted down to #0, all the way to DC putting out all “Zero Issues” the month that Zero Hour finished, which meant, Flash #0, Superman #0, Batman: Shadow of the Bat #0, and so on. The plan for this month was for me to do the entirety of Zero Hour, culminating in this week’s release – and perhaps that happened in an alternate reality, but alas, in this reality, my oldest nemesis LIFE got in the way, and so this is the only article you are getting from me this month. But hey, at least it is a Super-Blog Team-Up article, right? Zero Hour wasn’t just a mini-series, of course. 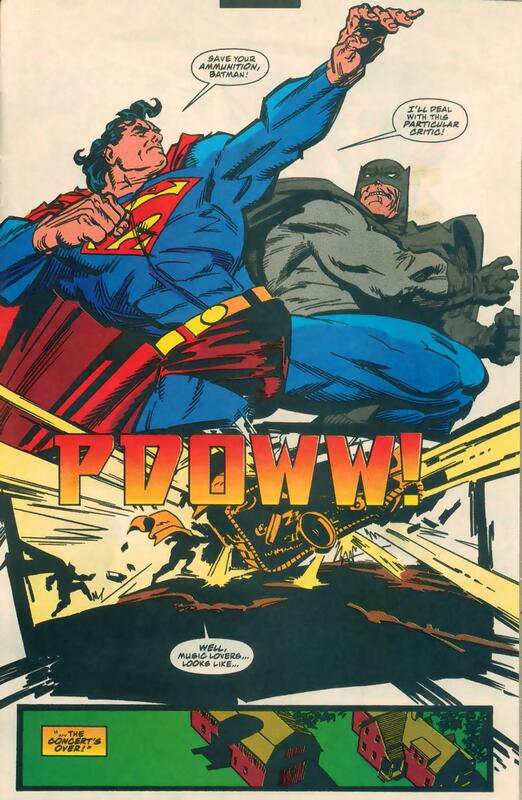 It crossed over into nearly every single DC superhero title that exists, with varying results. While some of them were very awesome, like Superman: The Man Of Steel #37 (hey, that just happens to be the comic book I am covering here! How about that? ), some were awful. 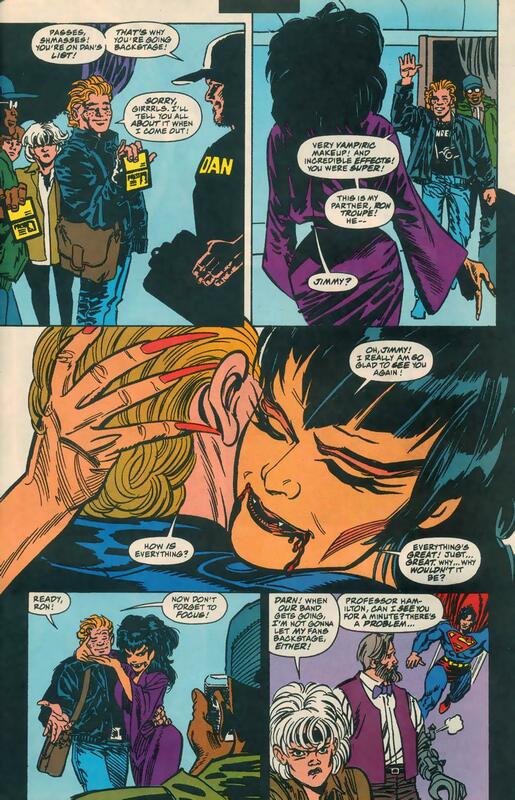 For instance, Outsiders #11 might be the worst comic book I have ever read. If you see this comic, act calm. Back away slowly and leave. As soon as you are in a safe location, alert the proper authorities. The lady who is shamelessly licking blood off her hands like all of a sudden this a YouPorn video is Looker. She’s one of the good guys. Really. 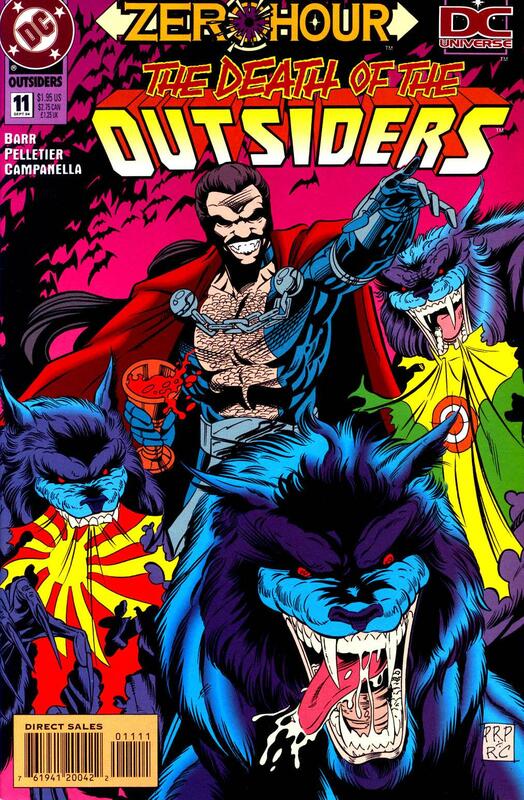 That comic is so awful that it is getting its own entry one day, and I say that as a guy who LOVES The Outsiders. I will have to take a look at the entire series, with a special focus on this issue. That day is not today, though, as today is for what i consider to be the apex of Zero Hour, Superman: The Man of Steel #37. As I stated earlier, Zero Hour crossed over into seemingly every DC superhero title. Even outlying titles such as Anima got involved, since hey, if the universe is being destroyed, how could everyone not be involved, right? 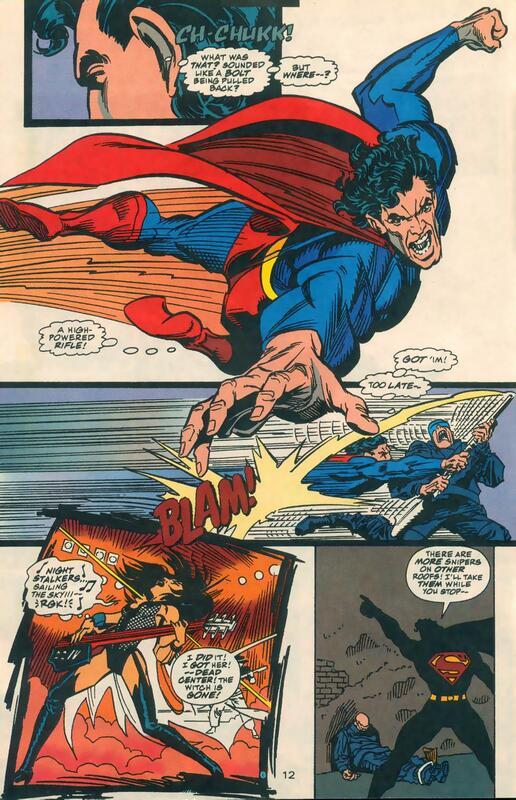 And if the universe is indeed being decimated, none could be more involved than Superman. In fact, he gets involved before he really understands what is happening, as he is busy trying to protect a benefit concert being held to help rebuild Metropolis. That’s right, I said rebuild Metropolis. Thanks to Lex Luthor, it lies in ruins right now, so they are having a big benefit concert. It seems sort of crass to me to hold the concert in the area that has been decimated. I mean, these are the folks that need the help, so I assume they do not have the cash to attend some giant outdoor festival. We didn’t hold the big USA for Africa concerts in Ethiopia, and if we had, people would have called us insensitive jerkbitches. And they’d be right. Stop being so ungrateful and pay up kids; we are doing this for you. As it is, though, Metopolis marches to the beat of its own drummer, and Superman has to pay the drummer, even if he did not call the tune. 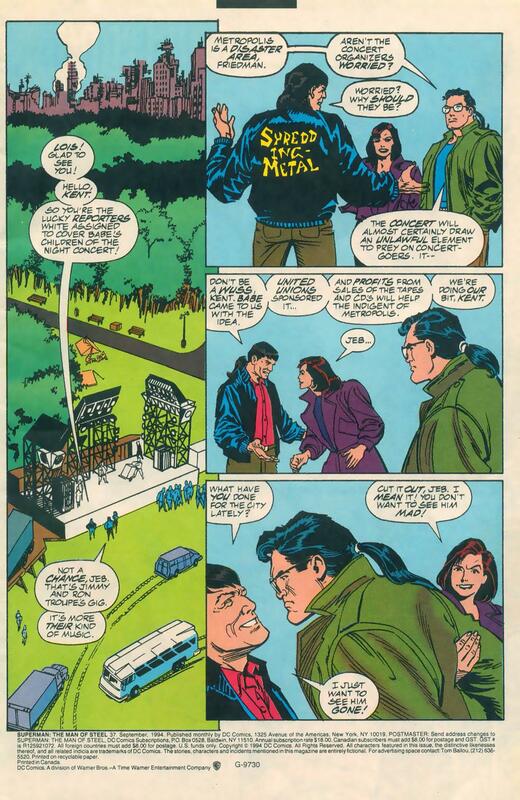 Also, the promoter of the concert is apparently one of Lois Lane’s exes, and he has no qualms about blatantly scamming on Clark’s squirrel right in front of him. It makes you wonder whose comic book is this anyhow? Normally I would jump to Clark’s defense here, but to be honest, he does look like a yuppie with that hair. Do people still say yuppie? Is that still a thing? I also have to admit that Clark is sort of being a buzzkill there. In fact, he is easily the most uncool guy to ever have long hair. His arguments are silly for two reasons, #1 is that concerts attract “an unlawful element” even in the best of circumstances, and #2, YOU’RE SUPERMAN. Can’t you handle some pot sellers and pickpockets? With a lack of self-belief like that, it’s no wonder Metropolis got destroyed on Superman’s watch. 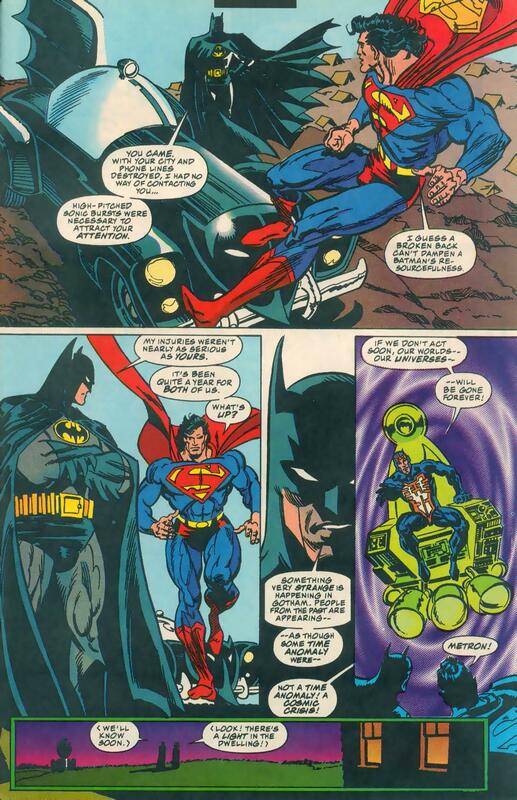 However, Superman has little time to reflect on this dude trying to make him look bad in front of Lois, the evil of pickpockets, or the state of Metropolis, as he is being signaled in one of the oldest ways possible. Basically, you need to learn Morse Code in case Batman attempts to signal you. 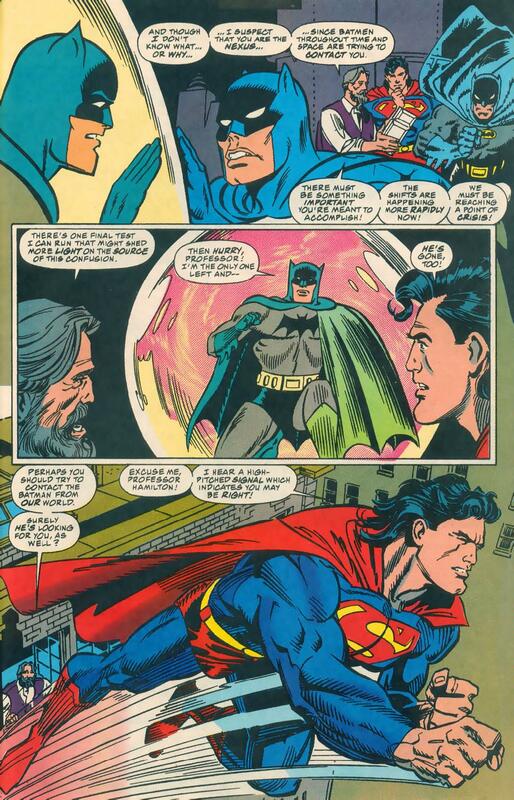 The combination of Batman’s gesture there with him accusing Superman of “going hippie” is basically the reason I started reading comic books. 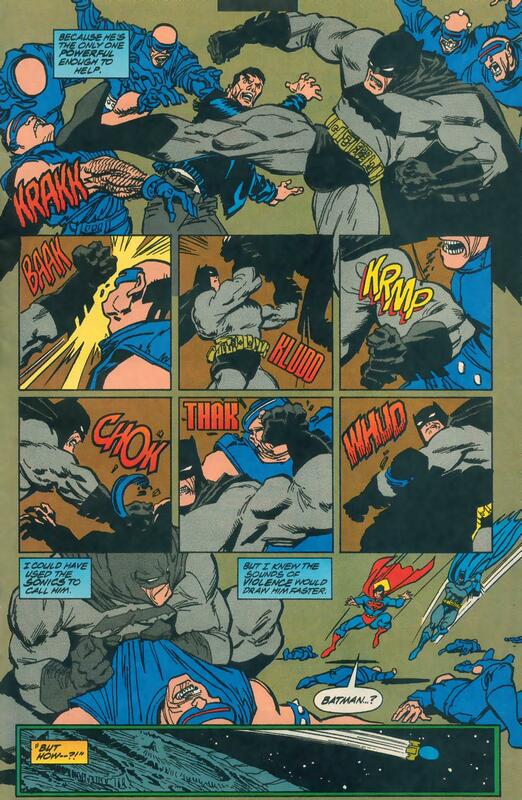 Superman could probably deal with this Batman and get to the bottom of whatever is going on. The problem is that not only is this not the only Batman that Superman will have to deal with, but the Batman that comes next makes Bat-Nixon look like Bat-Jimmy Carter. It’s not the Batman that Superman needs; it’s the Batman Superman deserves. Actually, Morse Code seemed to work faster than violence. The World’s Greatest Detective has lost a step in his old age. 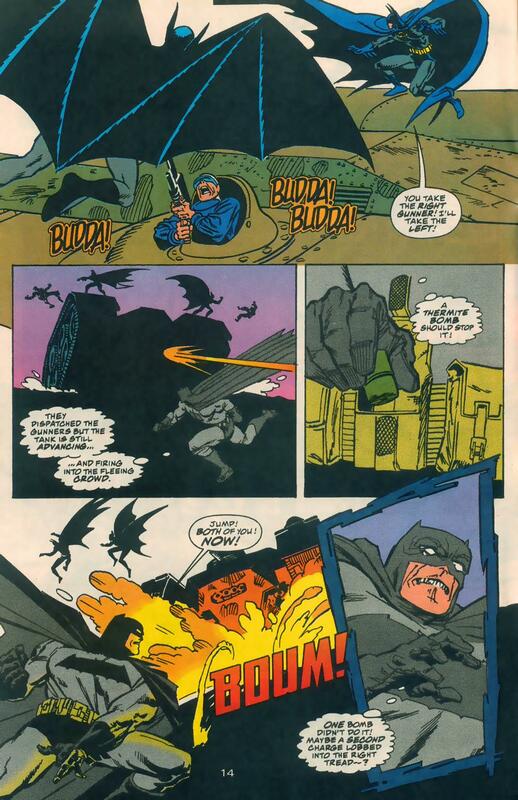 Yep, that’s The Batman from the Dark Knight Returns, Or is that “The Goddamned Batman”? 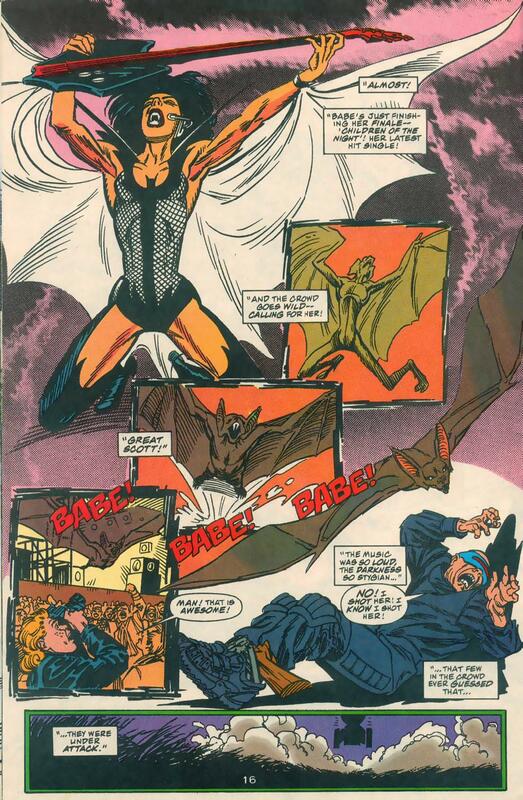 I am unsure what is en vogue as far as making fun of Frank Miller’s Batman on the internet these days. I mean, I know we are supposed to do it, but I am scared that mixing stuff from All-Star Batman and TDKR is not allowed. I know that when S:TMOS #37 came out, this appearance excited me greatly. I was a huge TDKR fan at this time. Now, I see it as a thinly veiled argument for fascism. It saddens me that so many folks see Batman in such a fashion, but not as much as it saddens me that I used to enjoy this take on Batman. Oh well, youth is wasted on the young, I suppose. 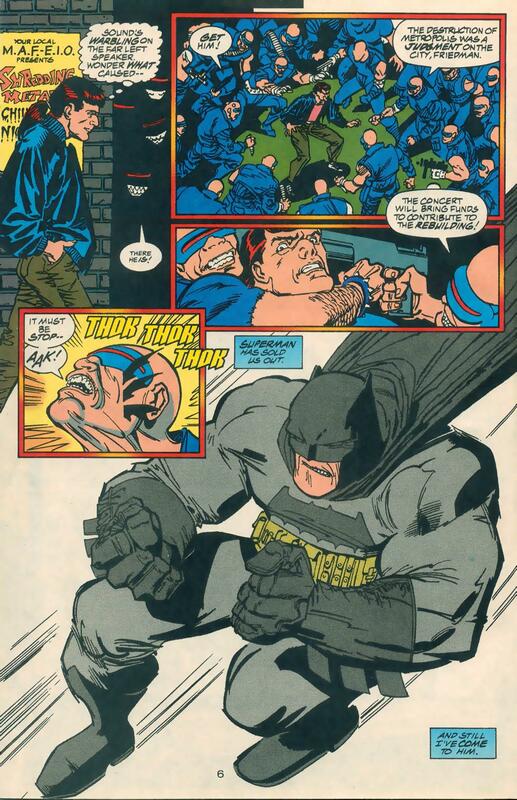 The TDKR Batman is quicker on the uptake than his “violence attraction” plan earlier, as he figures out something that is sort of a nightmare to anyone. Of course, seeing as how he considers himself a living nightmare, he shrugs off the existential nightmare of BEING OUT OF PLACE IN REALITY. Caps for emphasis, folks. TDKR Batman faces the fact that he is not of the true reality with a grimace. This comic is going well, but it could be better. How, you ask? MORE BATMEN. I enjoy how Golden Age Batman’s word balloons are all shaky, as though it was hard for people to speak in the late 1930’s. 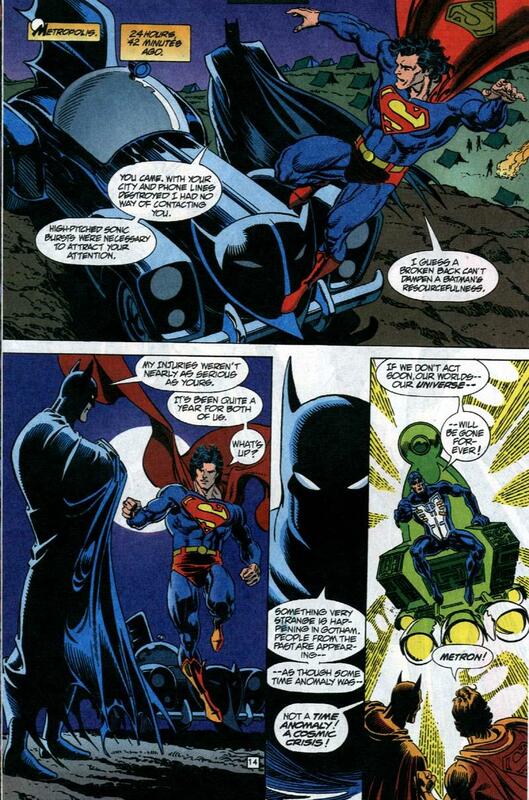 Also, did you catch where he insulted Superman there? What is the Superman of his age up to? Skulking with rats in the shadows, it would seem. So now that Golden Age Batman has cut down Superman and all the various Batmen are starting to figure out that they are a part of this anomaly, we have to get back to business. Namely, protecting this concert that Superman is somehow incapable of dealing with due to the “unlawful element” that will gather at this concert. This leads to an awesome superhero posedown, one that I cannot help but think would distract a lot of attention away from the concert. I feel like saying “if it’s too loud, it’s too old” is both very funny and very hurtful to Golden Age Batman. Also, what good is super-hearing if loud music blocks it out? Does that mean that Superman can’t hear during rush hour in Metropolis? With lyrics like those, I understand why he felt the need to shoot her. The “unlawful element” that is attacking this concert happens to be the mutants from TDKR! If there’s any element of TDKR that stands the test of time, it has to be the mutants. They have a cool look, they have an enormous leader, and they have an amazing super tank that even gives Batman issues when he tries to stop it. Well, I guess I owe Superman an apology, as a decidedly unlawful element showed up here for this concert, although I doubt he thought MUTANTS FROM THE FUTURE would be the cadre of the “unlawful element,” but one way or another, the concert promoters brought this on the poor unsuspecting people of Metropolis. 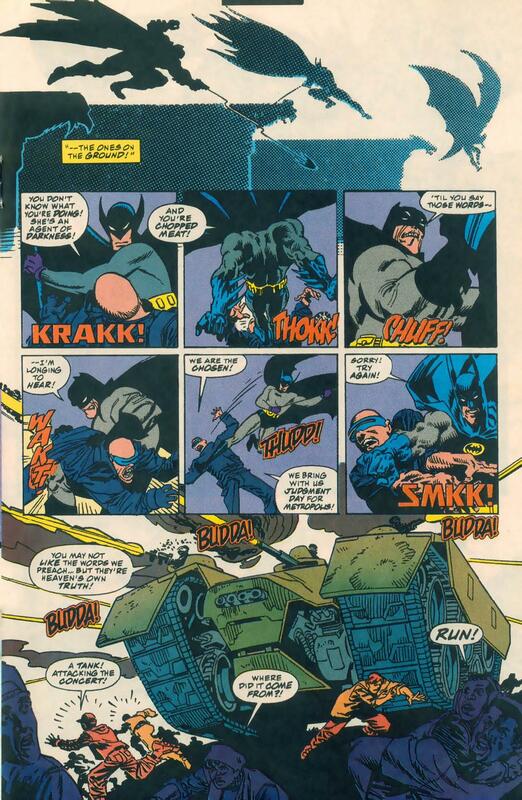 With the day saved, the concert can conclude, and we are told that most of the people at this concert thought that the tank and the battle between Batman, Inc. and Superman were just a part of the concert’s special effects. I’d say that is a lame excuse, but then again, these people do not seem to realize that the singer of this concert is a vampire, so I suppose I can just chalk this one up to the people of Metropolis being sort of dense and slow to notice things. Despite being a vampire, this lady has the snobby and elitist Rock ‘N Roll icon thing down. It’s important to pass these sentiments down, so I am glad to see that young lady learning. But what to do about all these Batmen? How will they all fit in? 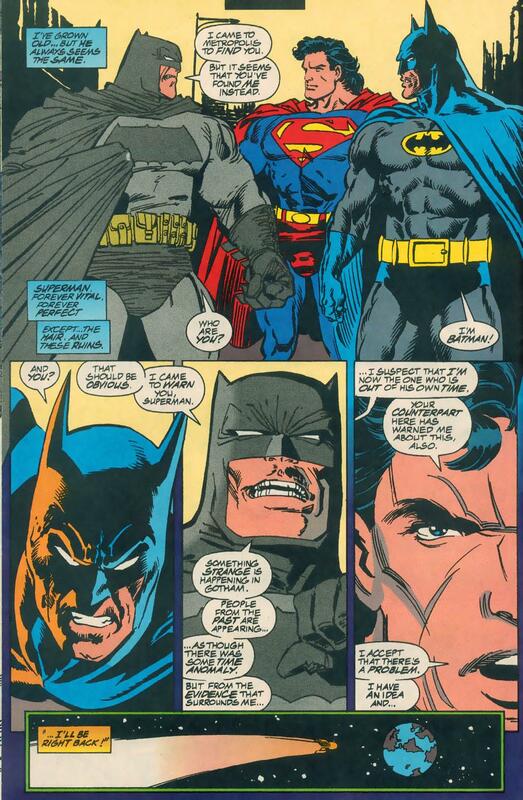 This is an important question, as Batman signalling Superman is sort of the start of Zero Hour. We can’t be having all these Batmen hanging about messing that up. So what if they all just disappeared? If you don’t laugh when you see TDKR Batman changing into happy-go-lucky Batman, you are a Terminator of some sort, so please self-destruct. Oh, yeah, our Batman wants to play as well. So with the extraneous Batmen are gone, the one true Superman now races to meet the one true Batman! And…Metron? Why not? How could one have a cataclysmic cosmic convergence without the New Gods? 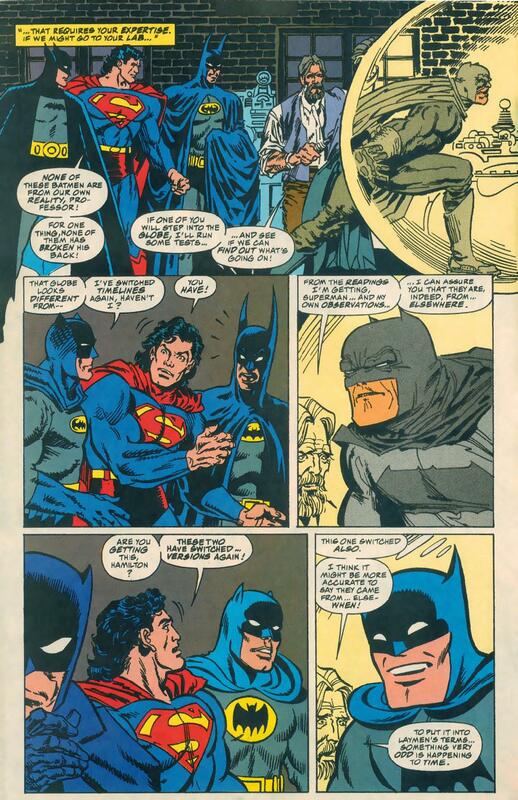 How could one have this meeting without Batman and Superman getting together after the worst year of their lives? How could that not be mentioned? 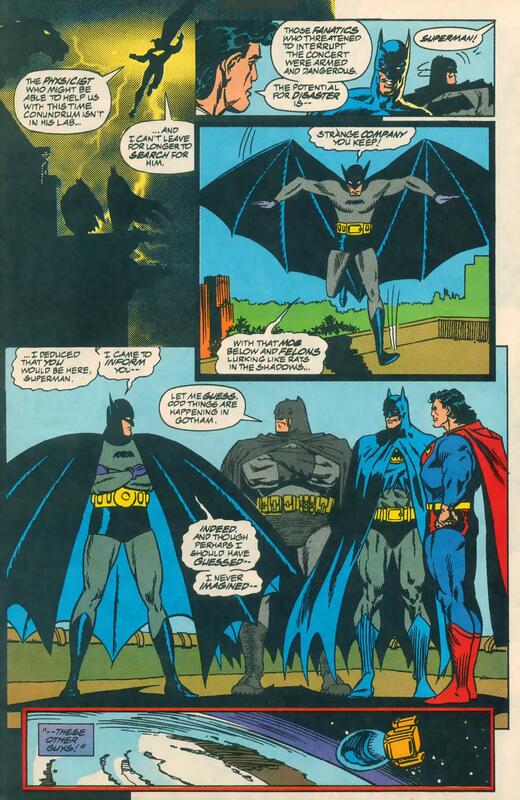 So the “real” Batman is the last Batman to get in on this cosmic crisis? Once again, what makes him the World’s Greatest Detective? It’s like deja vu all over again! I have been hard on Batman here, but to be honest, I love this issue. This is the epitome of what you can do with an individual story within a larger event. 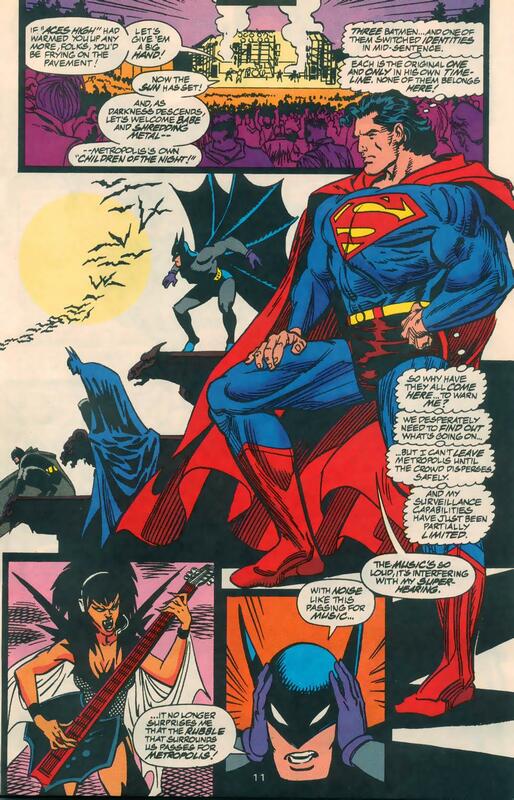 The creators have a lot of fun and stretch the limits of alternity, but they do a great job staying true to Superman even as his life is going topsy turvy due to dudes trying to take his lady, the “lawless element” that permeates every concert, Metropolis being devastated, and of course, Batmen. So many Batmen. 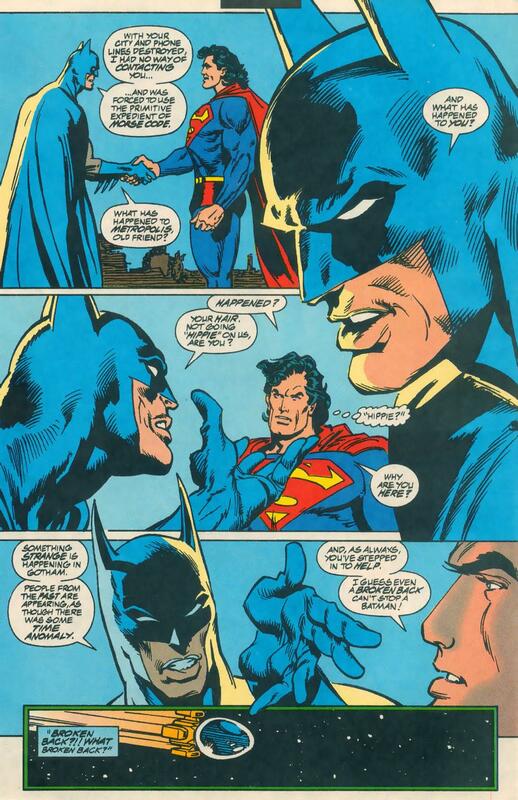 I also find that Jon Bogdanove’s Superman is extremely underrated, and Louise Simonson does a terrific job with the different Batmen and how they act and interact with Superman and each other. This issue shows us that that not only is there more than one take on Batman, but that they are all quite valid and entertaining. I’d like to see more of these Batmen, even Golden Age Batman and his warbly word balloons! I hope you enjoyed this look at Superman: TMOS #37! I will take a closer look at Zero Hour in March, and I am sorry I didn’t get to it this month. We’re declaring next month here at The Unspoken Decade to be INDY FEBRUARY as we look at Indy comics and publishers! There’ll be Ultraverse (and a special crossover between this blog and The Ultraverse Network! ), Satan’s Six, Neil Gaiman’s Mr. 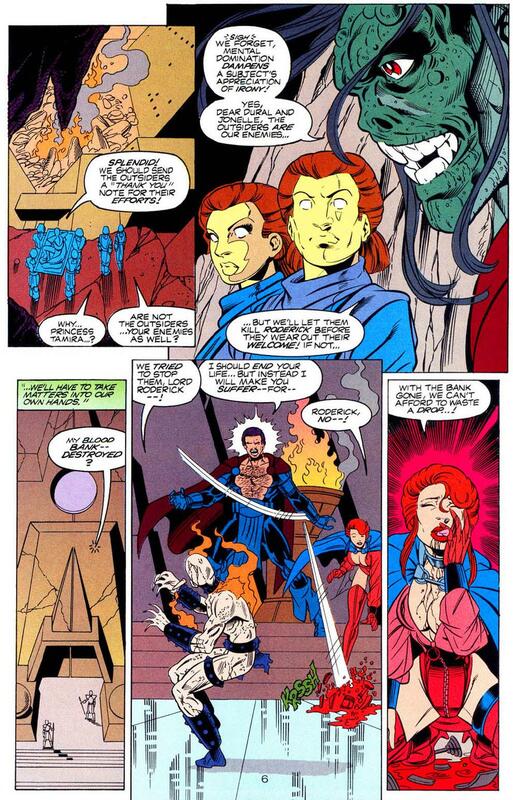 Hero, and Alan Moore’s WildC.A.T.S. and maybe a special entry or two! I also hope you enjoyed this entry as part of the Super-Blog Team-Up! Now that you have read this bad boy, hop on over to the other sites participating! They’re all great!